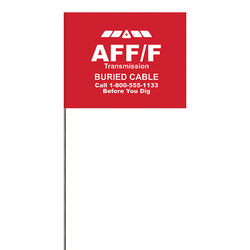 This 1-color 4" x 5" custom high-gloss poly marking flag is a handy product your company won't want to gloss over! 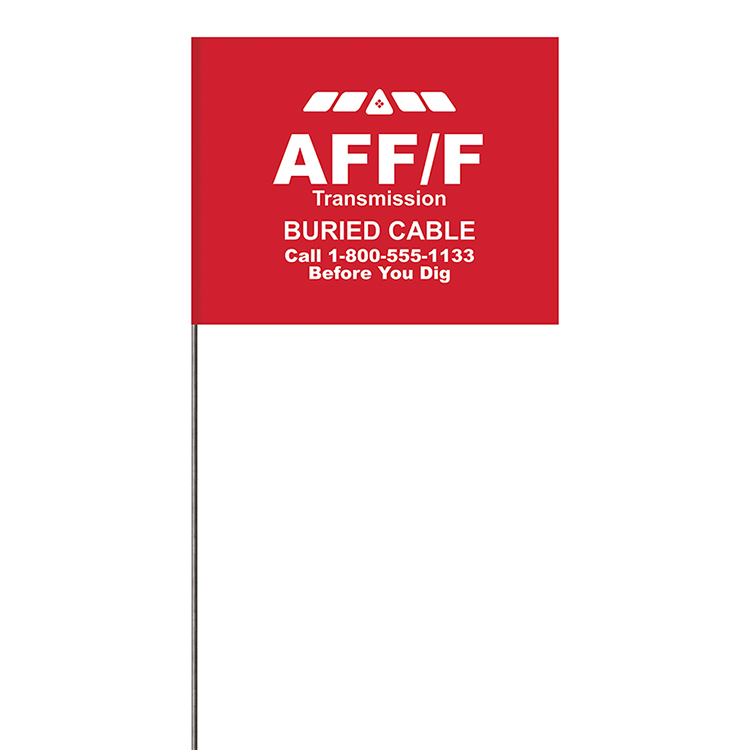 This vinyl flag features a metal stem and is great for marking utility lines, lawns, buried cables, invisible dog fences, construction sites, areas of danger and caution, property lines and much more. 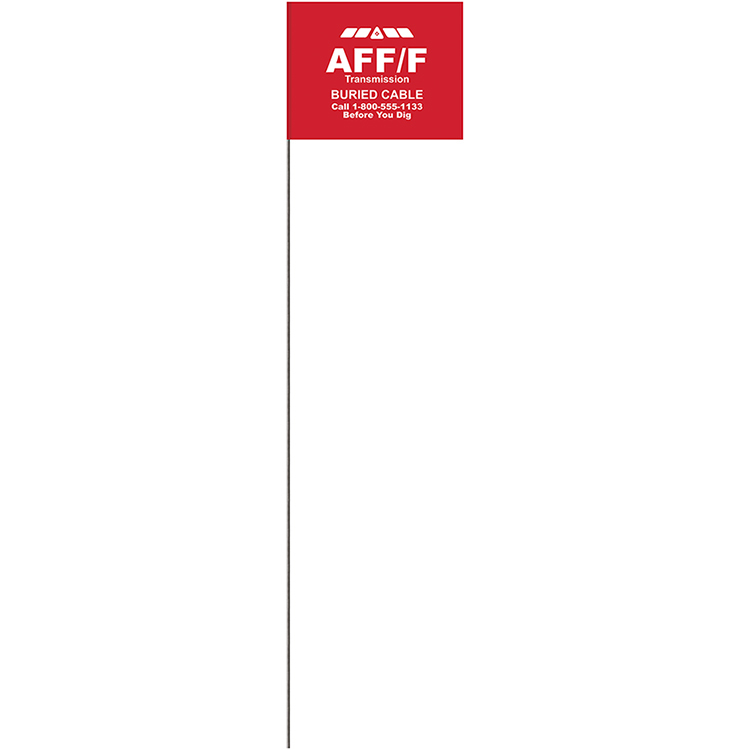 No assembly or tools required! 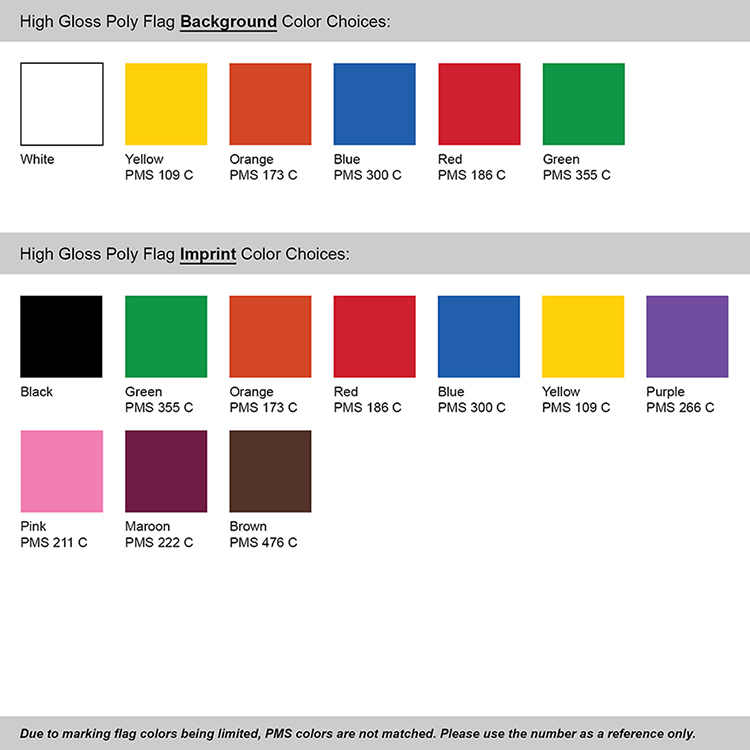 Available in several colors, it can be customized with a one-color printing from our color palette and your message splashed across a fade-resistant material. 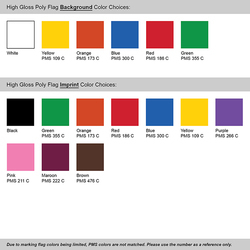 4 case minimum order. 1000 pcs. per case.